Your Hosts - Western Spirit Enrichment Center, Inc.
Marian Carol & Garrett Lowry have invested over 20 years of research and study into higher consciousness, perfecting spiritual harmony, meditation, and the law of attraction and manifesting. We have passionately followed our intuitive vision to establish Western Spirit Enrichment Center with the intention of sharing our knowledge of individual and universal spirituality and our deep love of God’s beautiful and enriching nature. We invite you to join us for a week of self-discovery, transformative healing and adventurous fun in beautiful Sedona, Arizona. Marian Carol is a gifted spiritual teacher, counselor, humanist, intuitive healer, visionary and psychic. She teaches individuals and couples how to create and attract harmony, peace and love in their lives and relationships by showing us how to open up to Spirit’s light and love. She is known throughout the world for her peaceful and gentle nature, her playfulness and sense of humor. Marian grew up in the Chicago area where she worked as an actor, director, and teacher. She has a Bachelor’s Degree in Theater Arts from Loyola University, a Master’s Degree in Education from Dominican University, and successfully completed the summer program at the Royal Academy of Dramatic Art in London. Her extensive experience as an educator includes teaching all ages and facilitating thousands of spiritual workshops and retreats. Through her workshops, Marian has proven the intention and dedication of her healing and teaching ministry in assisting others on their personal spiritual journey. Marian’s extensive European travels, and past residences in Rome and Lucca, Italy and London, England aid her in bringing a wealth of knowledge and life experience to her work. Her varied experiences as an actor, director, educator, professional facilitator, motivational speaker and trainer, and Unity chaplain have taught her interpersonal skills that have become invaluable in her work. Her rapport with people and her ability to listen with her heart draw people to her from all walks of life. In the mid-1990s, she received spiritual guidance that led her to know she would be leaving the Midwest and moving westward. She fearlessly followed her heart and settled in Arizona, where she continues to explore, expand, and deepen her spirituality. Her strong faith in Spirit and Divine Order has led her to manifest many incredible experiences in her life. Her intuitive and psychic abilities have been present since childhood, but as she focused more on her spiritual development, these gifts have become stronger, more evident, and more easily accessed. Marian has used these exceptional gifts to benefit herself and hundreds of others. Over the years, Marian has worked with thousands of people to improve their lives, helping them to love themselves again and resolve the blocks that have held them back, to discover within themselves their incredible resources and talents, to forgive and heal old wounds and trauma, to improve their relationships with themselves, their partners, family, co-workers, and Spirit, and to achieve the success and happiness they have dreamed about. She has always been an avid believer in sharing her skills by volunteering her time and talents in many different capacities. She was the host, writer, and producer of her own radio talk show for Chicagoland Radio Information Service (CRIS). She has also shared her talents and resources with numerous community and charitable organizations, both in Illinois and Arizona. Marian is featured in the book “The Top 101 Experts Who Help Us Improve Our Lives”. She is also the author of a popular meditation CD, “One Breath, One Spirit, Guided Meditations by Marian Carol”. Marian considers the balance of mind, body, and spirit of the utmost importance. She enjoys horseback riding, hiking, biking, rock and mountain climbing, camping, kayaking, whitewater rafting, swimming, and western dancing. She is a trained Chaplain and practices yoga and meditation. Garrett Lowry is a passionate and experienced outdoorsman and adventurer who enjoys running, rock and mountain climbing, wilderness camping, downhill skiing, mountain biking, kayaking, whitewater rafting, scuba diving, piloting his glider soarplane, and western dancing. He has competed in hundreds of 10k road races, marathons, and triathlons. 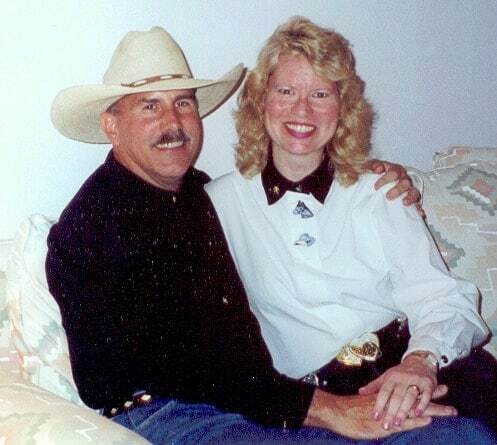 As a cowboy, he is also an experienced horseback rider who has owned many horses throughout his career. He has traveled extensively worldwide, but has been drawn to the west all his life and moved to Arizona in the 1980s from St. Louis to enjoy the extensive outdoor opportunities available here. He possesses a broad knowledge of the rich history of the “old west” and Native American culture, as well as the incredible beauty of Arizona, and has been guiding people on adventurous activities and tours here for over 30 years. Garrett has over 50 years of experience in the business world and has founded several successful companies, including an adventurous activities western-themed tourist business in the Phoenix area. In addition, he spent many years as a successful financial consultant and investment manager for several major Wall Street firms. He also served in the U.S. Army as an Infantry Officer and in the Finance Corp.
Garrett’s spirituality has grown significantly over the past two decades and is manifested in his practice of Hatha and Siddha Yoga, Tai Chi, and daily meditation. He strongly believes in sharing his blessings and giving back to others through numerous types of charitable and community service he is involved with. Garrett has trained and practiced as a Stephen Minister and a Unity Chaplain. He has also worked with local jail inmates in a pioneer mentoring program. He is a graduate of the Phoenix Valley Leadership program. Garrett continually seeks to expand his consciousness and enlightenment through meditation and connecting with the God-Spirit within. He is an accomplished painter artist and author and recently wrote his autobiography titled: “From Suit to Stetson: A Spiritual Journey from Orphanage to Businessman to Cowboy. . . and Beyond”. This book and his second book, a Young Adult novel titled “Some Dreams are for Real”, are both available at www.amazon.com. The week spent with you and nature was wonderful! You are both so giving and inspirational. I learned a lot and I’ll never forget this retreat. There is wisdom, beauty and grace in this place and in both of you. My life will never be the same. Thank you so much. Your simplicity and humbleness are so refreshing. You both consistently exude love. I have a new understanding of spirituality and love.